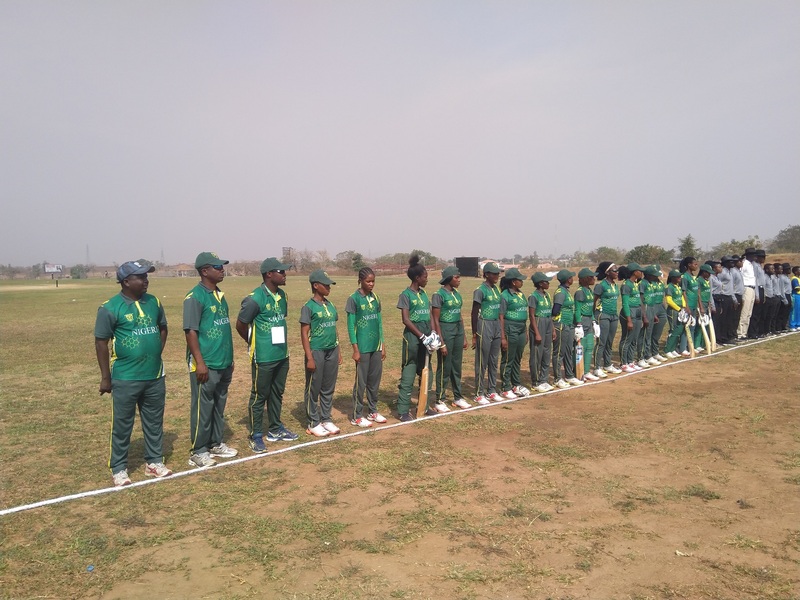 The 1st Leg of the Bilateral series between Nigeria and Rwanda came to an end today in Abuja. 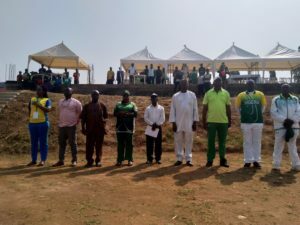 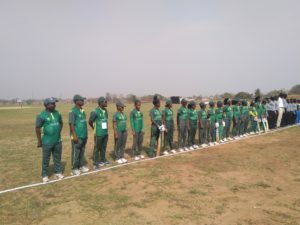 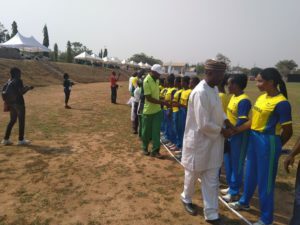 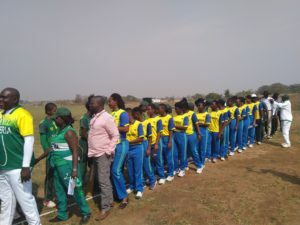 The series which began on Saturday 26th January 2019 was the first of its kind in the history of the sport in Nigeria and also North-West Africa. The International series was scheduled to have five T-20 matches from 26th to 29th January with the venue at the newly constructed turf pitch in Abuja. 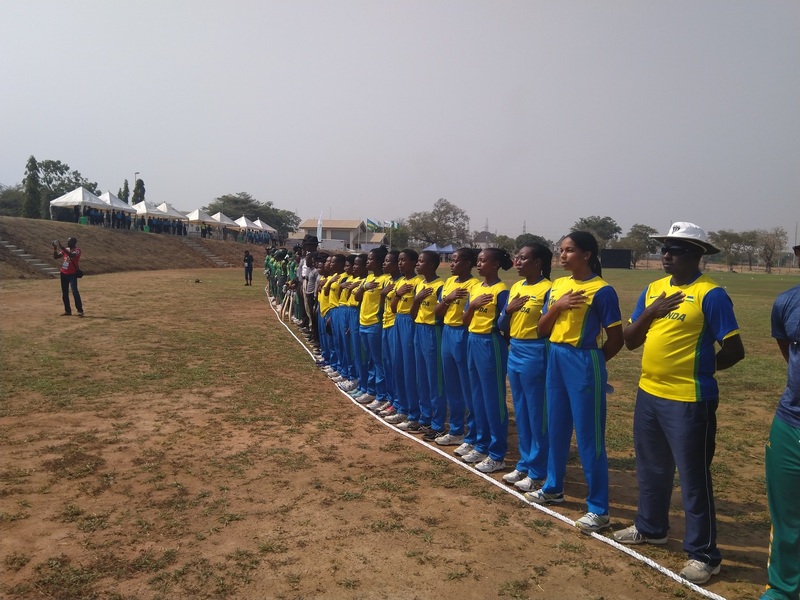 The first day began with the rituals of the National Anthem of both countries and the introduction of players and delegates from Rwanda. 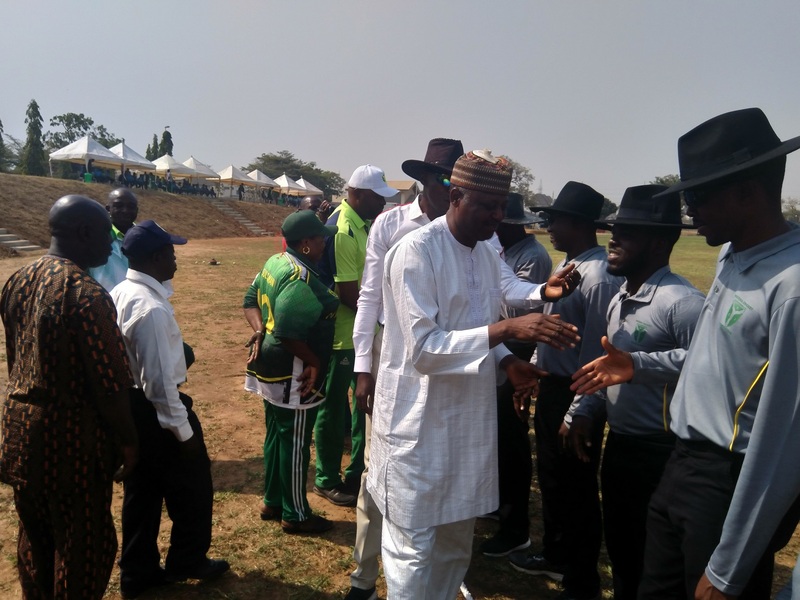 The President of the Nigeria Cricket Federation Professor Yahaya Ukwenya in his opening remarks, thanked the Rwanda Cricket Association for honoring the invitation to play in the first leg of the bilateral series. 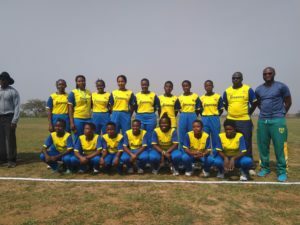 “we are happy to have taken this initiative to promote Female Cricket in this part of the continent and we hope that this series would also foster diplomatic relations between both countries in a bid to begin a chain reaction in the growth and development of the game. He further admonished both teams to play within the spirit of the game wishing them the best of luck in the course of the championship. 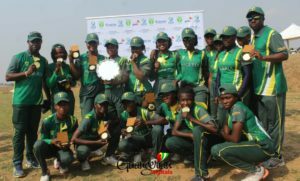 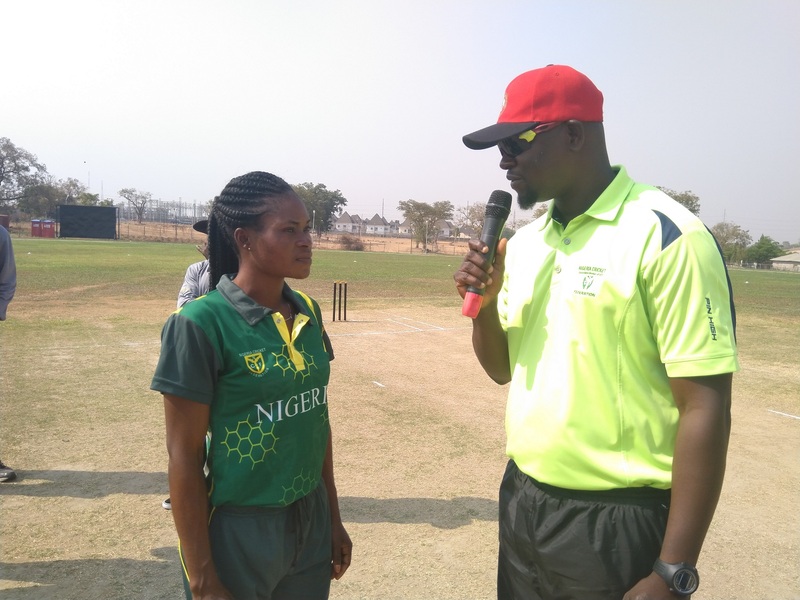 Prior to the final match in the series, Nigeria led by 3 matches to 1 after winning the first game by 4 wickets, a more convincing win in the second game by 7 wickets and the third game by 5 wickets. 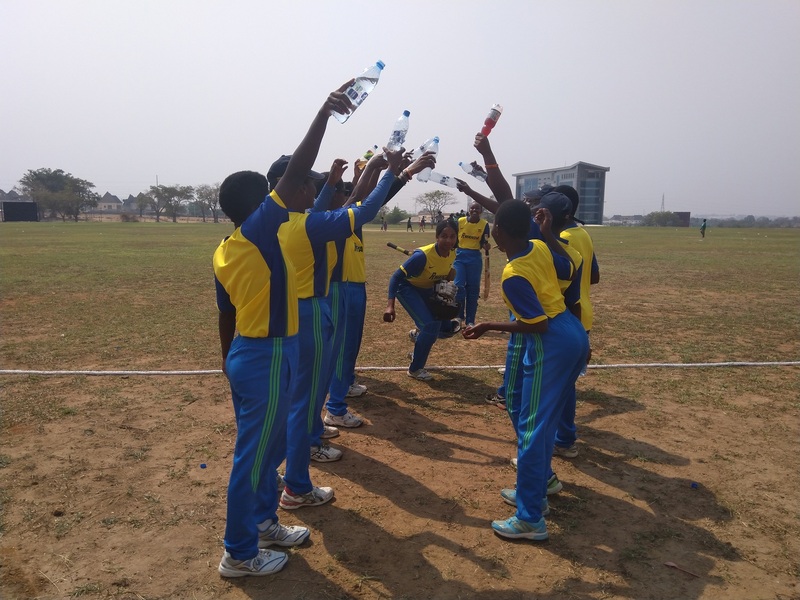 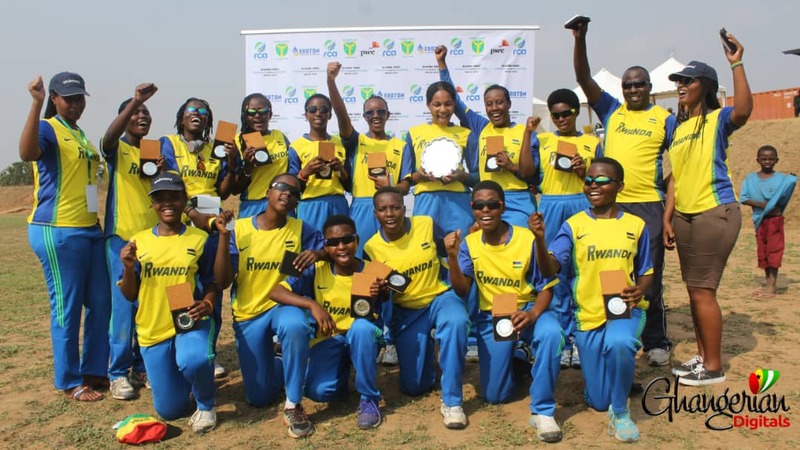 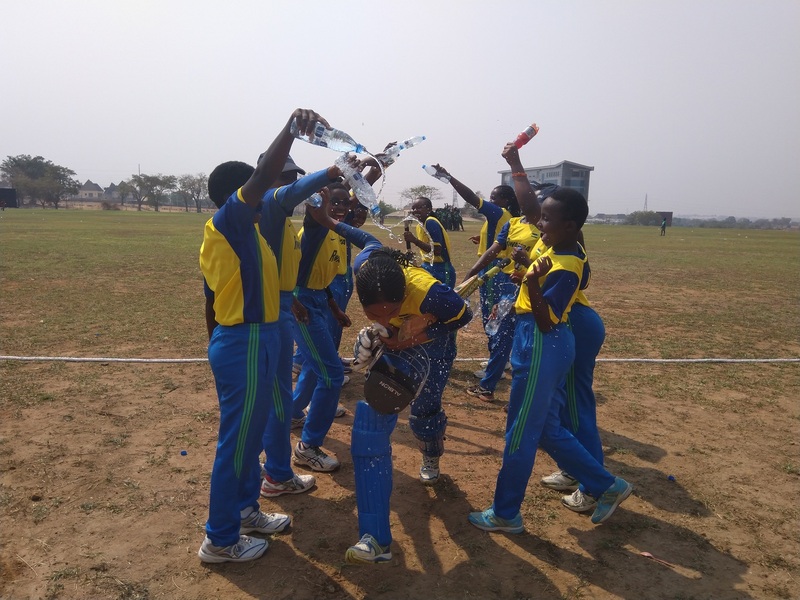 However, Rwanda were not ready to go down without a fight and in the 4th match they produced a spectacular performance to beat the Nigeria team by 5 wickets to set up a grand finale. The Final match of the series began with the National Anthems for both countries and a pep talk by the President of the Federation Prof. Yahaya Ukwenya. Rwanda won the toss and elected to field first sending in the Nigeria team to bat. 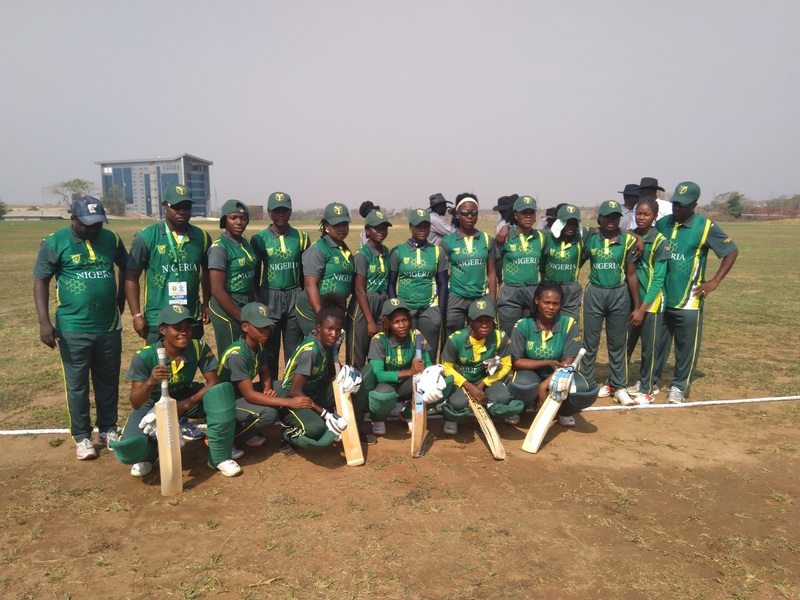 Nigeria displaying their poorest performance in the series so far could only manage a total of 61 runs all out in 19.1 overs. 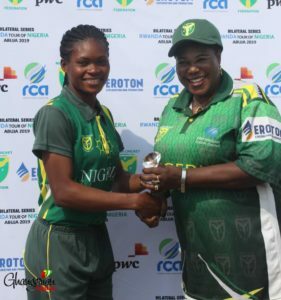 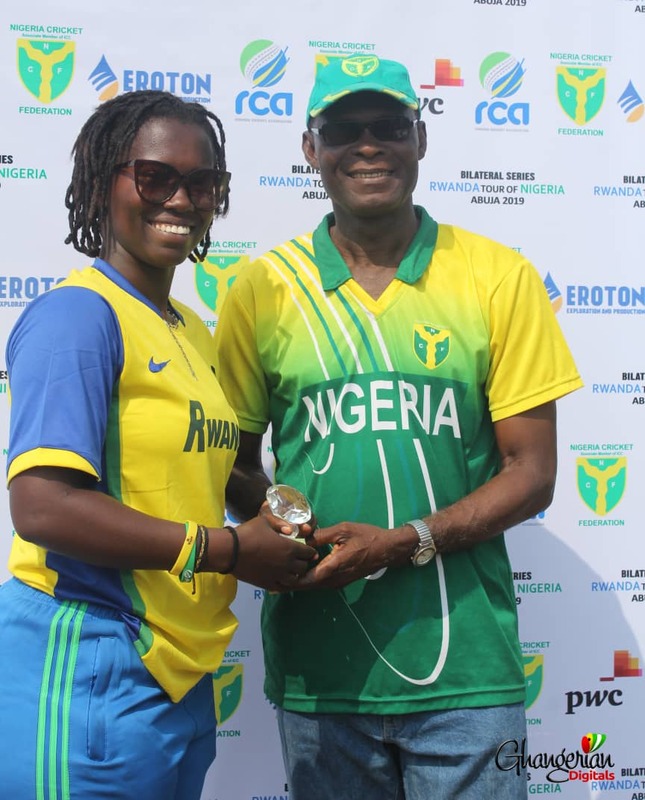 Blessing Etim, captain of the Nigeria team scored 15 runs off 24 balls as the best effort for her team. 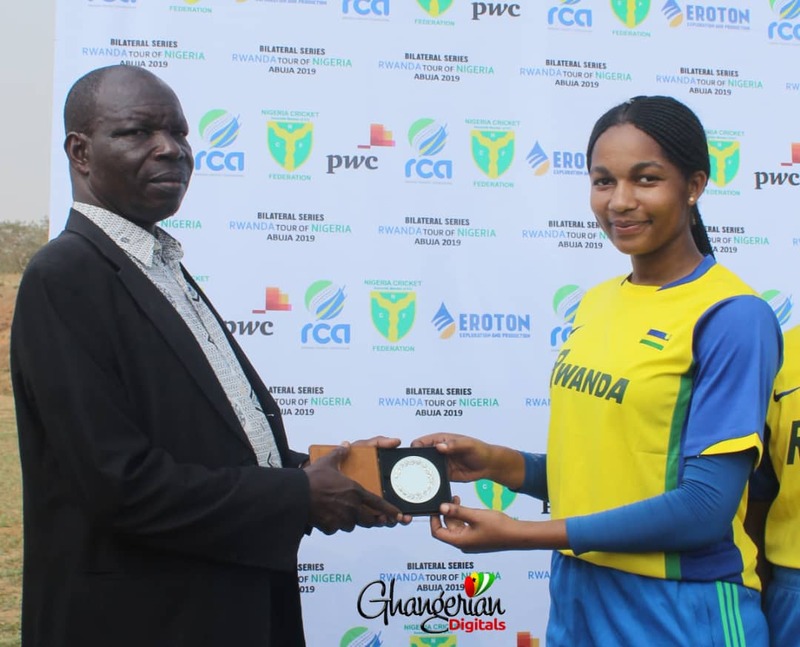 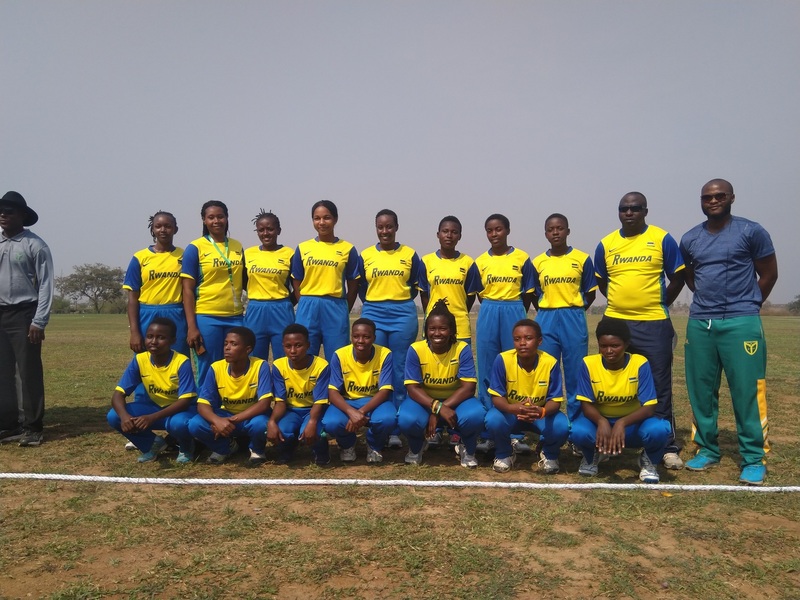 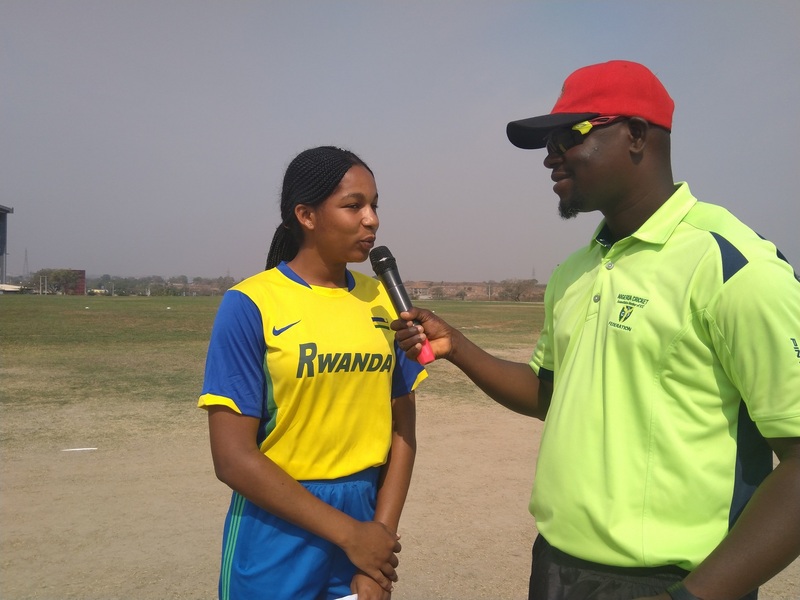 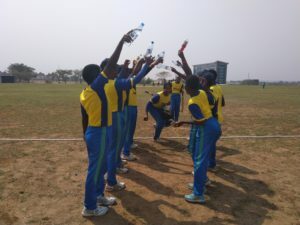 In the second innings, Rwanda showed their dominance and quickly chased down the required total to record a score of 62 runs for the loss of 3 wickets in 15.1 overs. 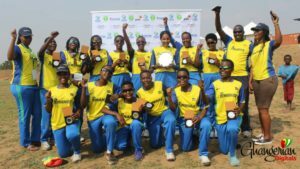 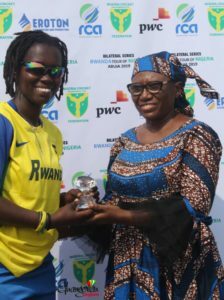 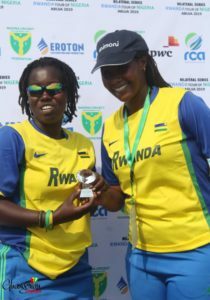 Ingabire Sifa scored 19 runs off 40 balls and Ishime Diane score 15 runs off 31 balls as the best performer with the bat for Rwanda. Rwanda won the match by 7 wickets to take the series to 3-2. 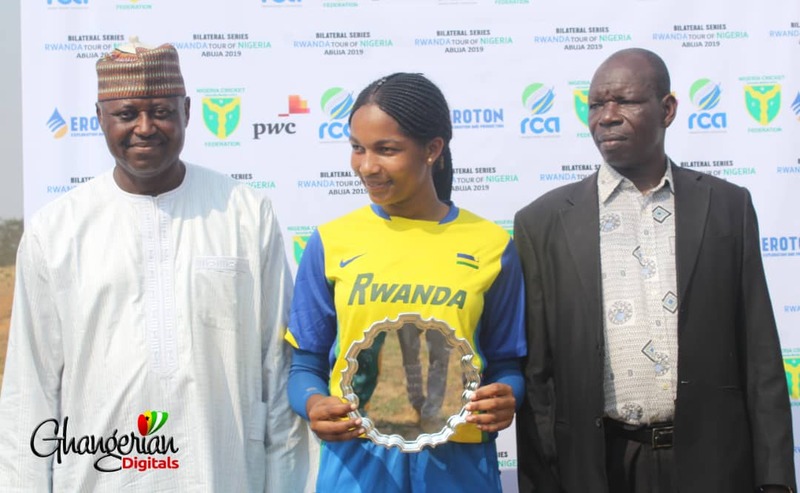 To begin proceedings with the award presentation ceremony, the technical officials from Ghana presented a souvenir each to the captains of Nigeria and Rwanda. 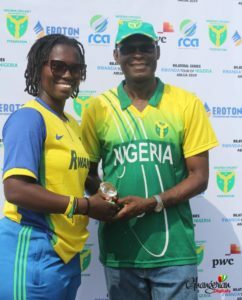 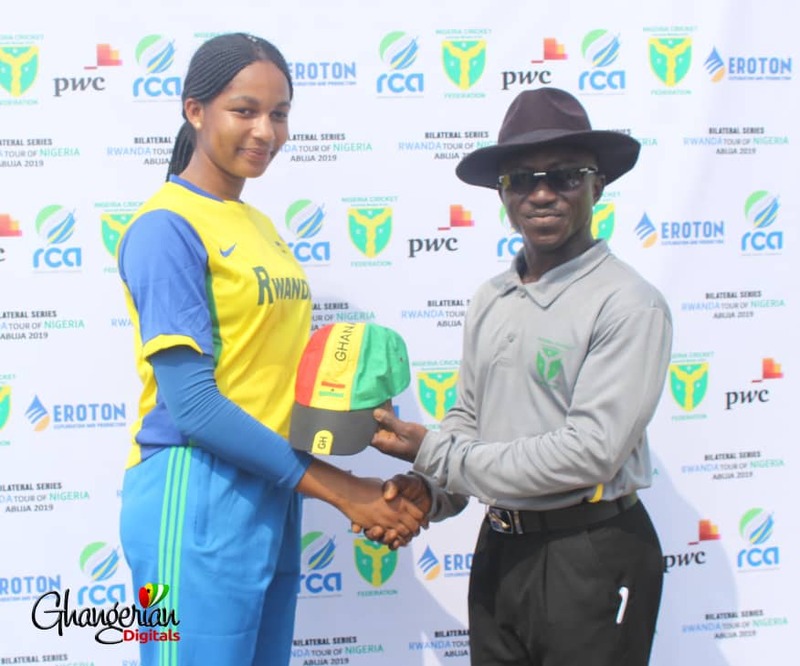 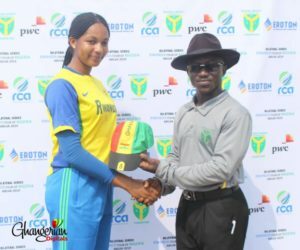 In response, the Captain of the Rwanda Team presented a gift on behalf of the Rwanda Cricket Association to the Nigeria Cricket Federation. 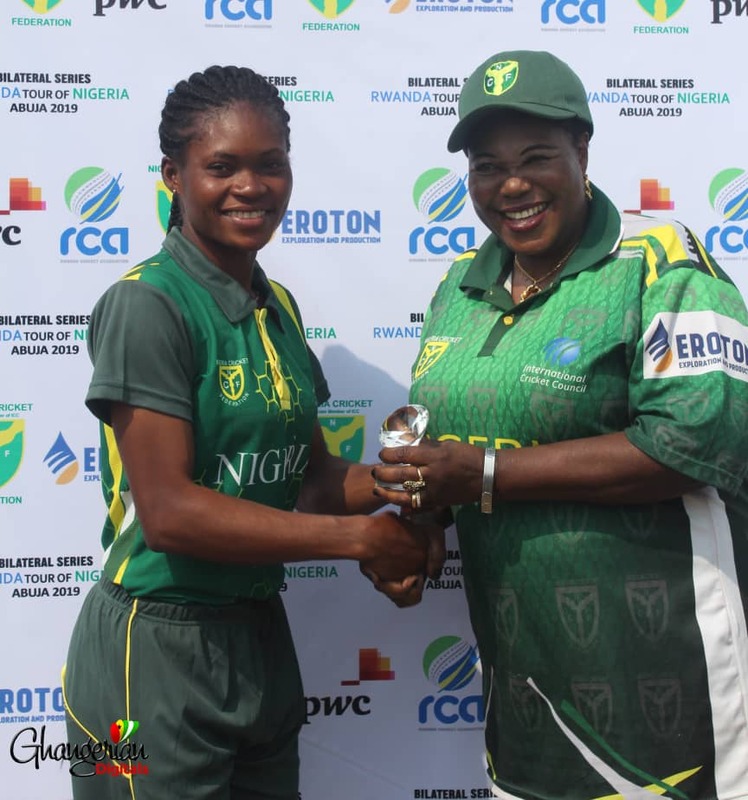 Gloria Ekwempu (Former Secretary General of the then-Nigeria Cricket Association and Chairperson, National Association of Women in Sports, F.C.T Chapter. 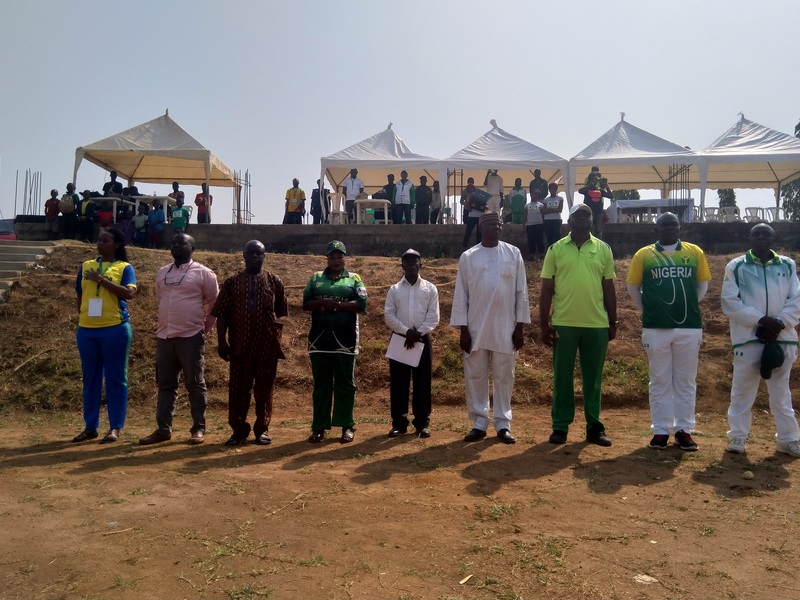 Vote of thanks was rendered by the Secretary general of the Federation Mr. Taiwo Oriss to bring the event to a close. 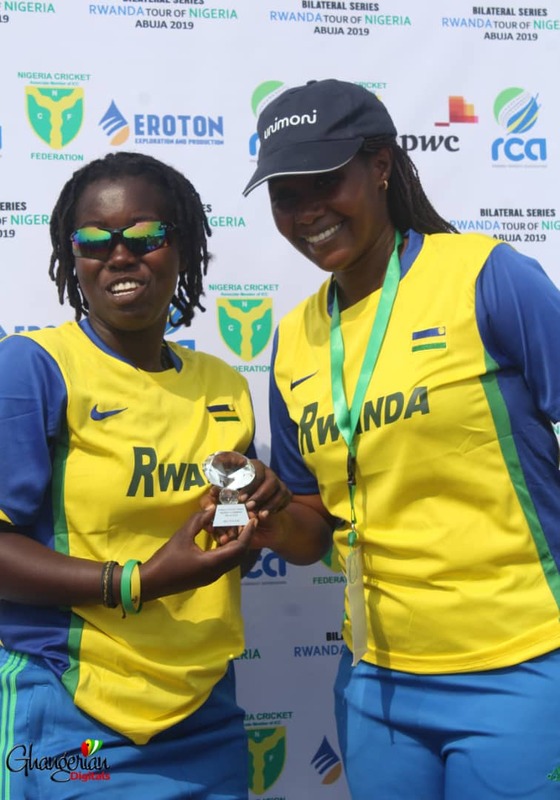 No Replies to "Rwanda restores some pride after final match win to peg the series at 3-2"